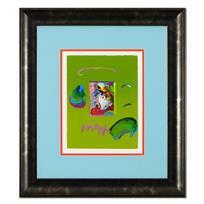 Peter Max, "Flower Jumper" Framed One-Of-A-Kind Acrylic Mixed Media, Hand Signed with Certificate of Authenticity from Peter Max Studios. 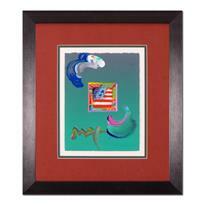 Peter Max - "Flag" Framed One-Of-A-Kind Acrylic Mixed Media, Hand Signed with Certificate of Authenticity from Peter Max Studios. 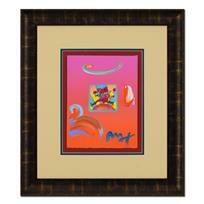 Peter Max, "Blushing Beauty II" Framed One-Of-A-Kind Acrylic Mixed Media, Hand Signed with Certificate of Authenticity from Peter Max Studios.